“Let me be clear: I am not interested in talking for the sake of talking. 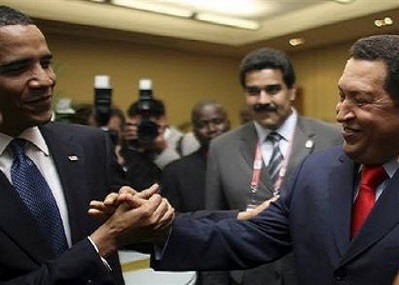 But I do believe that we can move U.S.-Cuban relations in a new direction.” This was President Obama’s call for a historical shift in relations between the United States and Cuba in 2009 at the Summit of the Americas, which was held in Trinidad and Tobago. It was during this time, the early phases of the Obama administration, that the relationship between Washington and Havana appeared to be moving in an innovative direction, away from ideological tactics and Cold-War rhetoric towards progressive talks and cooperation. Sadly, however, this was not to be the case. Despite the odd and insignificant lessening of the embargo’s merciless restrictions on travel and remittances, the Obama administration has maintained a moribund status quo of Washington’s policy towards Cuba. This tragic fact was emphasized as recently as August 4, when yet another woeful tale of sandbox antics was revealed by the Associated Press about an additional United States Agency for International Development (USAID) program that was tasked with subverting Cuban sovereignty. Undermining Cuban sovereignty has been a driving focus of Washington’s Cuba policy throughout almost five decades. From the Bay of Pigs and the embargo, to expensive propaganda planes that had done little more than waste tax-payer money; the White House has been relentless in its attempts to destabilize Cuba. 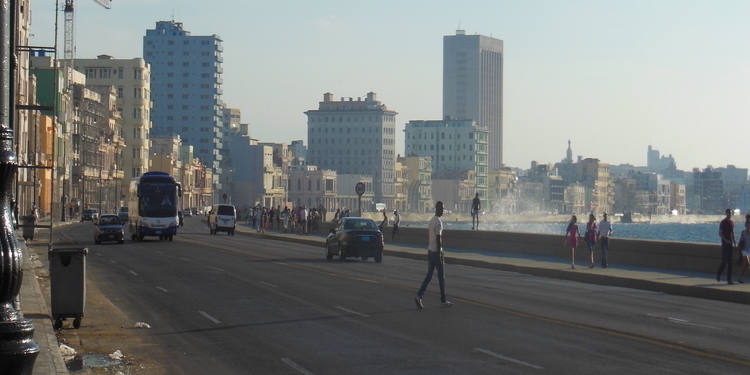 USAID, specifically, has rarely been free from accusations of trying to undermine Havana. The most recent scandals involve USAID’s ZunZuneo program, a Cuban version of Twitter that served as an online forum for anti-government sentiment, and Alan Gross, a former USAID contractor who has been imprisoned by the Cuban government since 2009. This time, though, USAID took a page out of the CIA handbook by using the cover of aid workers in order to hide spying efforts. USAID shamelessly recruited teenagers from Venezuela, Costa Rica, and Peru to pose as aid workers for health and civic programs while their real mission was to enflame dissidence and recruit Cuban citizens as anti-Castro activists. In one of these instances, the USAID workers created a false HIV-prevention clinic to veil their operations, which subsequent USAID memo’s called “the perfect excuse” for furthering the program’s ultimate ends. Despite the grotesque implications that inevitably come from defaming the credibility of aid workers, this latest revelation evidences that the Obama administration has not been, and will never be, the harbinger of change when it comes to U.S. – Cuba relations. This USAID program, like ZunZuneo, was started as early as 2009 and it held either the incompetent neglect or, at worst, the support and malfeasant guidance of the Obama administration. Furthermore, this distressing recent discovery arrives in light of the ongoing detention of Alan Gross, a former USAID contractor who is being held by the Cuban government on charges of state-subversion. Mr. Gross recently declared through his lawyer that he has lost the will to live and he has said his ‘final’ goodbyes to his wife and daughter. Mr. Gross’ perilous predicament has largely been ignored by the Obama administration; the tragedy being that Mr. Gross was subverting Cuban sovereignty at the direction from the very entity that now ignores his increasingly obvious plight. President Obama has even gone to such lengths of negligence as to refuse giving up the remaining three of the Cuban 5, the five Cuban nationals who were arrested by the U.S. authorities in 1998 on allegations of espionage, in exchange for Mr. Gross. The Obama administration stubbornly refused to act on the issue even when the Cuban government declared that they would be willing to provide for Gross’ eventual release if the U.S. government entertained the same fate for the remaining three Cuban detainees. Juxtapose the Obama administration’s trading of five Taliban prisoners for one soldier with its refusal to trade three questionably imprisoned Cubans for Alan Gross, and the approach to negotiations with Cuba is revealed to be ideologically charged. The Obama administration’s action, and its inaction in the case of Alan Gross, stands in stark contrast with its proclamations. As recent as November, 2013 the President said: “We have to be creative, and we have to be thoughtful, and we have to continue to update our policies.” In light of the recent USAID scandal it is apparent that when Obama says “update our policies” he must mean that the U.S. government needs be more discrete in its subversion tactics. One of the major roadblocks cited by the U.S. government in regards to its talks with Cuba is that Havana needs to release Alan Gross and ameliorate its human rights record before any further thaw in negotiations can be facilitated. This sort of diplomacy, the kind that ignores the basic diplomatic principle of quid pro quo, will get the United States nowhere. Furthermore, from a pragmatic stance, the longer the United States engages in these types of subversion programs, the less influence it will have in its own backyard; conceding a promisingly lucrative relationship with Cuba to Russia or China. Despite his inconsistencies between words and action, President Obama has been consistent in maintaining the stubborn Cold-War mindset of his predecessors. The newest USAID scandal, though not making major headlines, is just another stone in the path to eventual ruin that the United States has carved out for its relationship with Cuba. This relationship will never improve as long as the United States insists on undermining the foundations of Cuban sovereignty. It is, and has been for the last six decades, time for the U.S. government to engage the Cuban government; just like the European Union has done. Cuba has already made efforts to reform its economy and lighten the treatment of political dissidents. The United States needs to match these changes by approaching Cuba in a manner that is conducive to mutual cooperation and respect; instead of engaging in the infantile dance of baseless rhetoric and ideological subversion. As it stands now, however, Obama has proven that he, and the United States, is only interested in talking for the symbolic sake of talking. Does the United States Care About Democracy in Venezuela?